E-book readers are a must-have for each smartphone platform. And while the WebOS has been able to use legacy PalmOS e-book readers in Classic, it's just not the same as a native WebOS. Well, on top of Shortcovers and the in development work of rboatright (see also Simple Big Book), it appears the guys at eReader.com have their eyes set on an official eReader WebOS application as well. We are currently in the process of porting our reading software to the Palm Pre platform, webOS. However, we cannot announce a release date at this time. 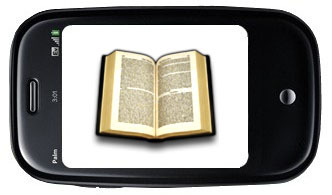 Any announcements about new releases of our software will be in future issues of the eReader.com Newsletter. It's a pretty vague answer, but we'll take it. A similar answer was given to RWood of the Mobileread forums. Of course it was revealed back in June that eReader was eventually coning to the WebOS, so it's good to hear that wasn't an empty promise and they're actually currently porting it, and not just saying they're going to port it "eventually". Personally I'm excited and wondering is eReader will use the standard API or if Palm will be given additional deeper OS access, like with what happened with Classic. Time will tell. Update: As ianscottgraves reminds me in the comments, there is another e-book reader already currently on the App Catalog, Shortcovers.